The Beeyard » Laying Worker, Caught in the Act! Laying Worker, Caught in the Act! If a colony loses its queen and is unable to rear a replacement, the absence of the queen’s many pheromones, along with those emitted by fresh brood, will cause a number of the worker bees’ ovaries to develop to the point where they can lay eggs. 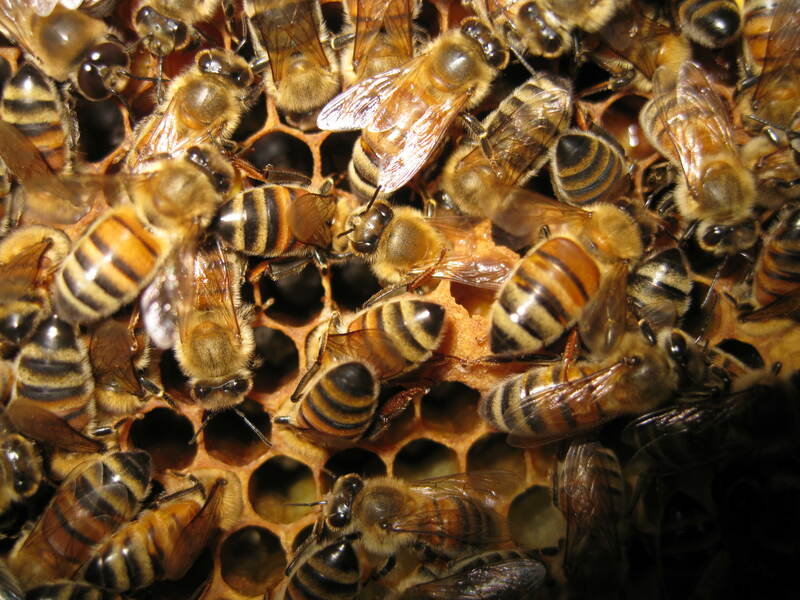 Since a worker bee is unable to mate, however, the eggs she lays will be unfertilized and develop into drones. It is generally understood that this evolutionary process developed because it allows an otherwise doomed colony to pass its genes on to future generations by way of the mating flights of these new drones.